We could not advance women’s lives without our staff. 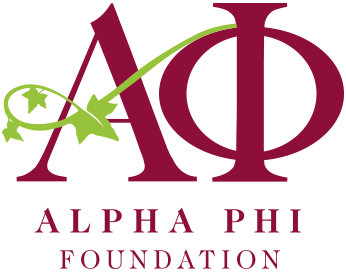 Meet the people behind the programs, scholarships and grants, and fundraising initiatives that continue to pursue the mission of Alpha Phi Foundation. 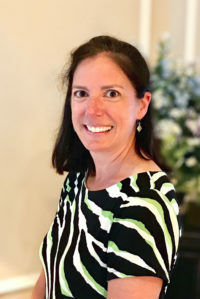 Amy leads the office in personnel and operations, as the liaison to our Board of Directors, and in general philanthropy and donor policies and questions. She brings years of executive-level experience to the Foundation and has a proven track record of achieving strategic objectives with her creative and cross-functional approach. Amy’s leadership is an essential piece to helping further the Foundation’s mission. With her strong background working with non-profits for years, Ieesha is the financial subject matter expert for Alpha Phi Foundation. 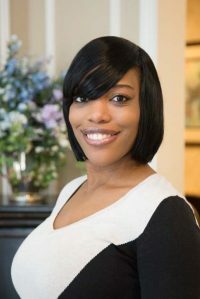 She is the go-to for setting up stock and IRA transfers, human resources, and keeps the Foundation’s financials in order, working closely with the Treasurer of the Board of the Directors. 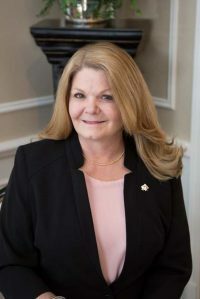 Crista is no stranger to the Foundation or Fraternity, having served on the both the International Executive Board, as International President, and the Board of Directors. 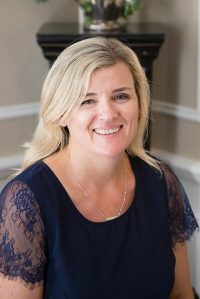 With her strong experience as both a volunteer and fundraiser, Crista leads our development team, including all Foundation campaigns, major gifts, planning for all aspects of fundraising, and special events. You can find Crista on the road or working from her home in Alpharetta, GA. This is Carolyn’s second time on the Foundation staff, though she’s also a Fraternity volunteer and a past ELC. Coming from development in the educational space, Carolyn brings a strong knowledge of fundraising and relationship building. She works closely with donors on their individual, major, and on special events. Carolyn is thrilled to be working to further the mission of the Foundation once again. You can find her on the road or working from her home in Huntington Beach, CA. Past ELC and current volunteer, Anne brings a strong knowledge of the Fraternity and a knack for communicating with members and alumnae. She works closely with donors on their individual, major, and planned gifts as well as special events. Across chapters, programs, interests and vehicles, Anne works to cultivate the joy of giving with donors. You can find Anne on the road or working from her home in Indianapolis, IN. Laura is a fundraising professional and a past ELC who is excited to be back at the Foundation as engaging alumnae in the Chicagoland area. As a Major Gifts Officer, she works closely with individuals on their annual, major, and planned gifts as well as special events. With over 25 years’ experience working and volunteering with Alpha Phi Fraternity and Alpha Phi Foundation, Linda’s passion for Alpha Phi along with their strategic planning experience serves as a great asset to our team. Taylor is passionate about making sure donors know how special they are and how much we appreciate the gifts they give to help so many women. She processes and acknowledges gifts, stewards our donors, and helps recognize the donors who achieve our society levels. Through letters, emails, calls and events, Taylor helps reflect the joy in giving we hope each donor experiences. Her strong background in programs that do great work on the ground allows Rachel to manage the application and selection process for all our scholarships and grants, including our merit and need-based scholarships, the Heart to Heart grant and the Forget Me Not grants. She also serves as a liaison to our Heritage Advisory Group and Program Advisory Group. She’s the go-to for many of our Foundation volunteers. As a marketing professional, Lizzie knows how to make cause-based events and communications successful. She’s focusing her efforts on making our chapters—both collegiate and alumnae—champion fundraisers. Lizzie’s communication know-how is an asset as she guides the Foundation brand, publications, and communications. Maia is the go-to for operational procedures for the Foundation. She supports the Executive Director, Controller and the Board of Directors. She keeps the office running smoothly, and is an essential point of contact for donors, members and chapters.